Stunning Sonoma Wine Country is waiting to be discovered less than an hour north of San Francisco’s Golden Gate Bridge, between the Pacific Coast and the Mayacamas Mountains. Come to where world-class Sonoma County wines get their start, and see what’s on our Platinum List. Luxurious! A charming retreat on downtown Sonoma’s plaza. Featuring 6 rooms, Private balconies, Whirlpool tubs, Marble bathrooms, Vintage-style décor. Simple elegance! Set along the Sonoma Coast overlooking Bodega Bay. Featuring 86 rooms, 2 restaurants, Wine dinners Outdoor pool, and Fitness center. Breathtaking! Perched on a bluff overlooking the rugged Sonoma Coast. 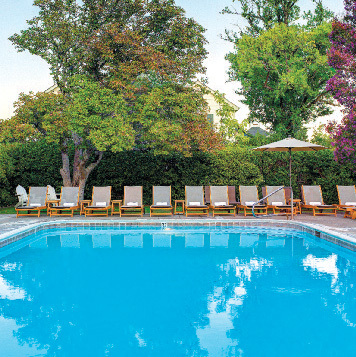 Featuring 84 rooms Private balconies, Wood-burning fireplaces, Heated pool, and Spa. Glamourous! 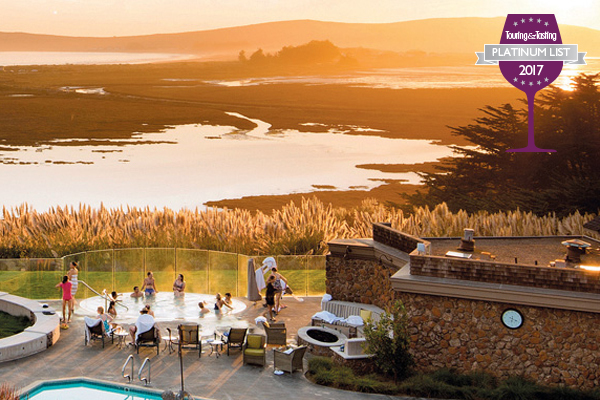 A wine country destination with the ambiance of a 1950s summer resort. 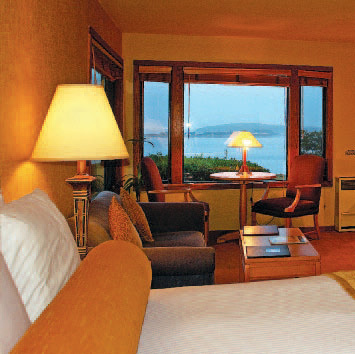 Featuring 170 rooms & suites, 13 meeting rooms, Wine country cuisine, Health club & spa access. Hospitable! An oasis with great amenities in the heart of wine country. 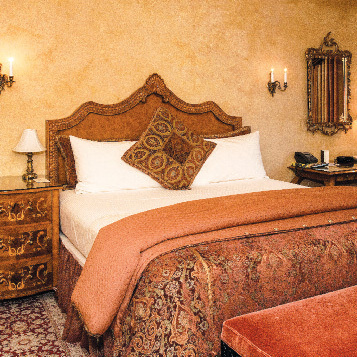 Featuring 64 rooms & suites, Historic grounds, Garden, spa, Suites with fireplaces, and a Restaurant. This highly awarded olive oil producer has a tasting room at Jacuzzi Family Vineyards. It’s brimming with olive oils and balsamic vinegars, and there’s always plenty to sample. Farm-driven cuisine is the direction for Executive Chef Armando Navarro. The menu touts dishes that showcase seasonal produce in an earthy, yet sophisticated way. In keeping with El Dorado’s overall eco-friendly green initiatives, Chef Navarro sources his ingredients from local purveyors and nearby Sonoma farms. St. Francis was voted #1 Restaurant in America by OpenTable Diners in 2013 and 2015, thanks to the house chef’s delectable multicourse tasting menu. 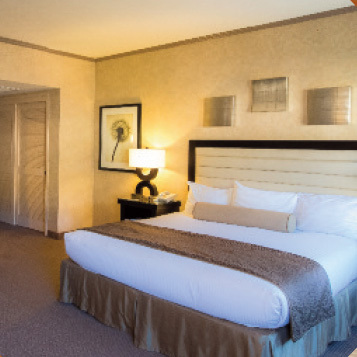 Situated just steps from the historic Sonoma Plaza, this friendly inn offers delicious complimentary breakfast and close proximity to more than one dozen highly rated restaurants. For gourmet cooks inspired by Sonoma wines, this well-appointed rental has a fabulous kitchen with a professional grade Viking range and subzero fridge. This historic property in Sonoma Valley features lovely grounds complete with an olive grove ideal for picnics. There’s also an inviting sunny outdoor patio and bocce court. This magnificent property features a biodynamic estate vineyard and wine caves. The winery’s 45-minute tram tour provides a behind-thescenes look. Located just five minutes from Sonoma Plaza, Buena Vista’s Historic Press House is a designated Historic Landmark. It has lovely shaded picnic grounds, too. Set in a grove of towering redwood trees, this winery has pristine gardens and century-old buildings including the historic stone cellar where wine has been produced for 127 years. These picturesque grounds include one of the largest collections of documented, wild-collected Asian plants in the world. And that’s only the beginning. In the heart of the Russian River Valley, the new La Crema Estate is nestled within the famed Saralee’s Vineyard. The historic barn is a center for tasting and education. Set in a strikingly landscaped garden of ancient oaks, greenery, and lavender fields, this winery is a sight to behold, especially in June when the lavender blooms. Seriously. This attractive family camping resort is rated at the top of most California RV campground lists with plenty of space and a rural atmosphere. The winery’s lush gardens provide a perfect backdrop for the Garden Tasting. Guests can also arrange in advance for a guided tour and even a delicious picnic lunch. This winery treats guests like royalty in its stunning Castle. Service is impeccable, yet there’s a casual ambience that makes us want to stay all day. 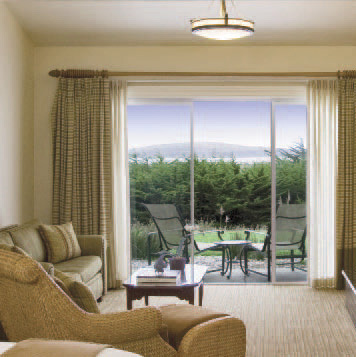 The Sonoma House at Patz & Hall is dedicated to making guests feel at home. Seated tastings are offered as well as the Salon experience, complete with exquisite food bites. Gracious hospitality abounds at this beguiling Carneros winery. Guests enjoy table service on the Vineyard Terrace, guided tours, and elevated experiences, too. We always feel welcome and certain we’ll learn something when we visit DeLoach. The list of fun appointment-in-advance guest experiences keeps getting better. This inviting winery should be as famous for its gracious hospitality as is its lengthy portfolio of Zinfandel wines. A welcoming staff, a laid-back atmosphere, and a pretty outside seating area put it on our list. This family-owned winery treats guests like they’re part of the brood. They are invited to picnic, play bocce, and visit the goats. Located on First Street West, right off the historic Sonoma Plaza, the charming tasting room greets human and canine guests alike. The outdoor seating area is private and cozy. More than two dozen wineries located within minutes of Sonoma Plaza have joined together to provide visitors the best possible experience in Sonoma County. Their Wine Trail Pass is a very generous deal. This charming tasting room hosts a series of enlightening wine education experiences on a wide range of topics. There’s a different lesson each week, offered Friday through Monday. 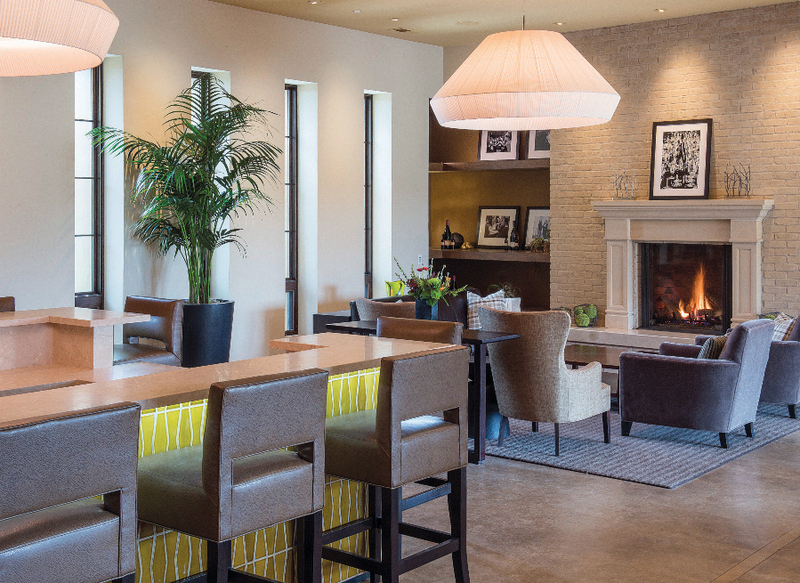 Chic and innovative, the tasting room emphasizes learning more about region’s wines in a non-intimidating setting. Each distinctive wine comes from a different Sonoma County AVA. Besides its signature seated tasting on the terrace, the winery now offers the unique Woodland Tasting in three glamping cottages in a beautiful natural setting. Jill Leone knows the backroads of Sonoma County like the back of her hand, and she’ll take us there in her fully loaded luxury vehicle. 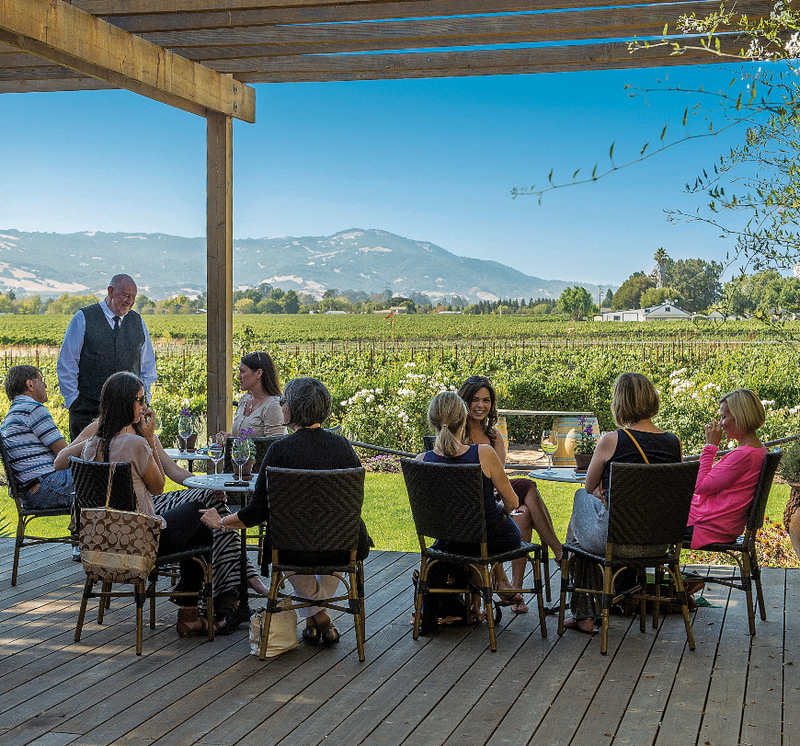 This unique wine country marketplace features a collection of world-class shopping, boutique wineries, tasting rooms, artisanal foods, art-inspired gardens, and often there’s live music.